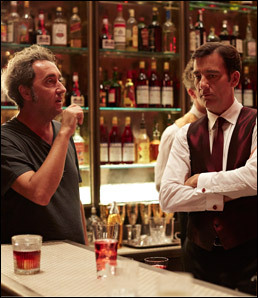 Clive Owen is to feature in Italian apéritif Campari's newly announced Campari Red Diaries. A change in approach for the brand's communications, it will feature a series of stories based on the ethos that "every cocktail tells a story." Celebrating cocktails as a form of art and expression, the campaign showcases the experiences that inspire bartenders in their craft. Owen will feature in the opening story of Campari's campaign, Killer in Red, directed by Paolo Sorrentino. Killer in Red starts Campari Red Diaries and is complemented by a collection of 12 cocktail stories, introducing 14 bartenders from all over the world. The stories introduce viewers to the creation of each Campari cocktail. The content will be housed exclusively on Campari’s official YouTube channel, however the premiere of Killer in Red and the full unveil of Campari Red Diaries will take place on January 24, 2017 in Rome.